Mr. C. Parthasarathy is the Chairman and Managing Director of the diversified financial services Karvy group. C Parthasarathy (CP as he is better known in the Industry), has the uncanny knack of staying ahead of the curve and the foresight to spot opportunities that seem invisible on the horizon for the others. Karvy’s entire history is a case study of turning adversity into opportunity. CP is a chartered accountant by qualification, whose entrepreneurial energy drove him to co-found Karvy in 1983 with a less-than-modest capital of Rs 150,000. Over the years CP’s vision and leadership skills have helped the group navigate through the turbulent times with a strong sense of purpose and clarity of thought. CP is one of the pioneers of financial inclusion. Under his leadership Karvy has won numerous industry awards and accolades. He also is an independent Director in many listed companies. Mr. V Mahesh, is the Managing Director of Karvy Data Management and has work experience spanning over 2 decades with in depth exposure to operations on most financial services businesses. Commencing his professional stint with the Registry business where he has to his credit managing over 300 IPOs and other forms of offerings, he was amongst the first few to work closely on the Book Building process initiated by SEBI in 1995. After initially working with MCS as an Assistant Vice President, he moved to Karvy. He was also responsible to initiate the process of setting up the Depository participant business in Karvy and was responsible for both the operations and the marketing of the business. 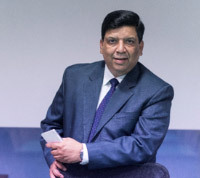 He has been nominated by the NSDL to various committees which addressed key changes to the overall processes and policies for the Demat business. Nurturing the passion for understanding and interpreting technology and processes, he was responsible to create and set up the centralized broking platform, centralized back office operations for all financial products and creating a network of over 500 branches covering over 300 locations for Karvy. He is also instrumental in creating and launching the Online platform of Karvy Stock Broking Limited. He is a Post Graduate in Commerce from University of Madras (M.Com). and also completed Post Graduate Diploma in Computer Applications. Adhiraj Parthasarathy is a market research, data analytics and management professional with specific expertise in innovation design, and new product development. A member of the board, with over eight years’ experience in change management at large organizations in India; he brings deep business and management expertise to the company. At Karvy he has managed the execution of large multi-sited projects; handling diverse and massive teams as they collected data for the Indian census; and managing change through, thought leadership as an ethnographic researcher and consultant. In addition to extensive research experience in insight generation, and new product development he brings extensive real estate to the table. At Karvy Insights, his expertise in the areas of operations, market research, product management and strategy facilitate the shepherding of innovative new solutions across the product life cycle. Having successfully worked in highly charged, complex environments, synthesizing multiple approaches Adhiraj brings an approach to problem solving that is grounded in data and research. He thrives on analytics, and discerning trends from large amounts of data. Adhiraj has an MBA from the University Of Chicago Booth School Of Business and a Bachelor of Arts in Anthropology, Economics and Communications from the University of Pennsylvania. In addition to being on the board of Karvy Insights, he also serves on the board of Karvy Data Management Services, Karvy Analytics, Karvy Solar Power and Karvy Consultants. Sonia has over 20 years of Market Research experience. A Qualitative Researcher at heart, she has over time honed her skills by not only leading/ setting up various units, but has also built and transformed Quantitative research businesses at various stages of organizational development. She has led teams across all industry sectors like CPG, Auto, Finance, Media, Telecom, B2B, etc. and introduced many technology based solutions through her career. She is known as a team builder in Market Research, bringing together very diverse resources into cohesive team contributors. Prior to joining Karvy to set up Karvy Insights, Sonia was CEO, Ipsos in India; Executive Director, Customized Research and Qualitative Council, South Asia for Nielsen and has also worked in TNS and IMRB in her initial years. She is a Gold Medalist in her Masters in Applied Psychology Degree, with a specialization in Social Psychology and Consumer Behaviour. She also has a PGD in Marketing from Times School. She now leads Karvy Insights and is responsible for developing an organization and infrastructure that can deliver value to clients. 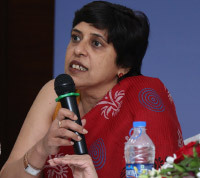 Known for her solution orientation, Sonia has personally developed various research techniques, presented a paper at ESOMAR, conducted a course in Qualitative Market Research for IIM Lucknow for two years before her schedule became too hectic. Her key sectoral experience includes - Food and Beverages, Personal Care, Home Care, Automotive, Consumer Durables, OTC and IT B2C. Her personal area of interest is Trend Spotting, New Product Development and Innovation, Communication Development and Testing, Cultural Sensitivity and Solution Driven Research. Given her wide experience in Consumer Research she has contributed significantly to all aspects of Brand/ Strategy Development; Segment Targeting and Pricing, as well as Competitive Differentiation and Trend Tapping. Chandana has over 20 years of experience in various industry fields like automotive, FMCG, retail, finance, telecom, e-commerce as well as in the social sector. She has a wide variety of exposure in various types of research like concept testing, ad testing, segmentation studies, product evaluation, pricing studies, portfolio optimisation, new product development, usage and attitude studies (U&A), pack testing, brand track dipsticks, ad campaign evaluation, feature testing, customer, customer and dealer satisfaction studies, etc. In the social/ health research arena, she has worked towards understanding the needs of the spastics as well a pan-India U&A study among mothers for diarrhoea among children; enumerating number of street children and their detailed profiling to mention a few. Before joining Karvy Insights she has worked in some of the major research organisations of India notable among them being IMRB, The Nielsen Company, Ipsos Research and boutique companies like Absolutdata. In Nielsen, she headed their Customized Research division for the New Delhi and Kolkata branches. She has also been a visiting faculty at various leading institutions like International Management Institute (IMI), Indian Institute of Foreign Trade (IIFT), etc. Mukund Tripathi is Senior Vice President at Karvy Insights Limited, based in New Delhi. 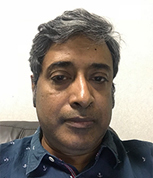 He was appointed to this role in February 2016.Mukund Tripathi started his career by joining Nielsen in 1992, Mukund has lived and worked in four countries and has held leadership roles. He began his career at ORG-MARG (Nielsen India) where he spent 19 years in marketing research and Field Operations and Client Management. From 2010-2012, Mukund served as Head of Nielsen’s MalaysiaRetail Audit business where he led its transition to a growing country in the region. In the early 2000s, he was Country Head of Nielsen’s Retail Measurement Services businesses in Bangladesh and Sri Lanka, where he established Retail Audits, which have since become the core of the company’s growing business. He first joined the company as part of Nielsen India (erstwhile Operations Research Group ORG)in the Data Collection team in the field department and where he held various positions with increasing responsibilities based out of Delhi, India. Mukund has over 23 years of experience in Retail Audit covering various industries like FMCG, Beverage, Tobacco, Semi-Durables, Non-Durables and Durable sectors. He as managed the relationship with large Global clients, Large India client and local clients. He is an expert on Retail Audits, Visibility Track, Consumer Touchpoint monitoring and managing large-scale shop census. Mukund was instrumental in setting up many new lines of business in his past roles as Head of Bangladesh (First Rural FMCG Reporting), setting up Lubricants Oils audit panel. He led the team from Nielsen side to implement, develop and execute a global protocol for large Beverage client on visibility track. Credited with identifying, developing and nurturing talent, his recruits in Bangladesh and Sri Lanka is heading the organization now. In the year 2012, Mukund quit Nielsenafter 19 years of association and go on to incorporate a start-up on market research (EMTEE Research) leveraging mobile based android technology platform for accurate and faster data collection and dissemination. Mukund divested his stake in the year 2015 before joining Karvy Insights team as Touchpoint Audit leader. Mukund has won various prizes, “Best Director-Nielsen India Region”, “Best Team-Nielsen India Region”. His research paper on work is done post-Tsunami in Sri Lanka (2005) won him Nielsen Global “Research Excellence Award” for exceptional work done by any Nielsen employee team globally. The research findings had helped various MNC/Local Clients and Funding agencies to use information for post-Tsunami damage assessment. Mukund supports Plan India Charity and was associated with the Rotary Club (Bangladesh) and Loins club (Sri Lanka).He is a sports follower and loves watching Cricket, Soccer, F1, Tennis and other Track and Field sports. Mukund loves travelling and meeting new people. Mukund is a vegetarian by dietary choice and love cooking food for afamily in the spare time. Mukund lives in New Delhi, at sub-city Dwarkawith his7-year-old son (Dhruv) and wife (Deepa). A Bachelor in Commerce (B.com) from Kanpur University and MBA from Institute of Management Technology, Ghaziabad (IMT, Ghaziabad). Susmita has over two decades of experience with India’s leading Retail and Market Research Organizations. She is currently the Senior Vice President and National Head of Qualitative Research at Karvy Insights. She has worked as Head – Consumer Insights & Retail Analytics, Bharti Walmart India. Prior to that she has served as the Vice President, Marketing Services at Subhiksha and as Associate Vice President at IMRB International. Strong Insights on both Retail processes as well Consumer Behavior gained by Strategizing Marketing & Merchandising initiatives as well as implementing the same on ground. In her career spanning over 20 years she has worked extensively with consumers/shoppers and research types. Thus has the ability to both conduct as well as draw out relevant & actionable learning’s from Catchment Researches, Brand Tracks, Communication Development Research, Category Understanding, Product / Concept and Pricing Researches, In–shop observations, Mystery Shopping exercises etc. While at Walmart she was instrumental in setting up the brand tracker and then driving the management of price perception and net promoter score basis the same. She also led a large scale PAN India segmentation research and co-created the target customer and Brand ID for the Easyday brand of stores. She has lived and worked in all the four regions in India and thus has a first-hand understanding of consumers across the country. An Alumnus of the Xavier Institute of Management Bhubaneswar. She teaches Retail Management and Market Research in some of the leading B Schools in the country and is also a mentor for the Index fair at IIM Lucknow. She has co-authored two books; the first is based on the Changing food habits of Lucknowites and the second is a compilation of food narratives and recipes. She is also passionate about giving ‘sarees’ the stature they deserve among modern, urban, Indian women and uses social media to drive the same. Geeta is Head of Data Assembly and Data Science divisions at Karvy Insights Limited with over 30+ years of work experience. 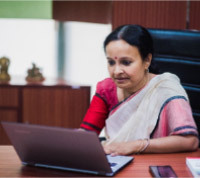 In her career spanning more than three decades she has worked in different capacities and functional areas which include both MR and Non-MRassignments. 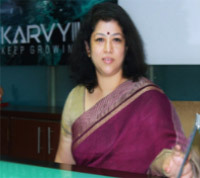 Prior to joining Karvy group, Geeta has worked with other reputed MR agencies, Ipsos, IMRB and the erstwhile ORG-MARG, leading a team of 30+ members, managing the data processing of the entire gamut of MR jobs. She also has had a stint with Direct Marketing analytics. In the DM area she has worked with DirexionsMarketing Solutions (erstwhile DIREM) and Cartesian Consulting. Geeta started her career with India’s largest automobile company Tata Motors Limited (erstwhile TELCO), she was recruited through the campus interview placements in their Management services division, for designing, developing and implementing various computerized systems, with relevant training in C language, UNIX o/s and RDBMS. After 11 long and fruitful years in system designing she shifted to MR data analysis. She has been involved in setting up processes for proper data capture, ensuring data hygiene and finally deriving insights from the rich data sets. She has worked extensively on Ad tracking data, syndicated studies like the readership surveys, customer loyalty data, various types of opinion poll surveys, one time surveys for Telecom, FMCG, Financial, Media, Automobile… industries and point of sales (POS) data. Besides managing the operational responsibilities, she enjoys working on multi-variate data analysis. She has worked on a lot of product development studies involving Conjoint analysis – in particular CBC Conjoint&Maxdiff. She is an avid trainer and has conducted training programs for team members and a few reputed educational institutions in MR analytics. Geeta is a Masters in Statistics from Mumbai University. She is from Mumbai and loves the city. She passionately practices various formsof aerobics, yoga exercisesand is constantly learning new variations.She loves to travel – loves spending time in the mountains and read -autobiographical material in particular. 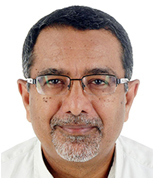 Rajiv Inamdar is a Senior Advisor to Karvy Insights Limited. He retired recently after 11 years stint as Managing Director of Heidrick & Struggles' Global Knowledge Management Center (KMC) based in Gurgaon, India. The Centre supports over 40 offices of the company worldwide with research, database and knowledge management services. Rajiv has 40 years of international experience in advertising, brand management, market research, consumer banking , private banking , asset management , credit cards and knowledge management with some of the best known companies in the world. These include Glaxo Smith Kline, JWT, Citibank, Standard Chartered Bank, Nielsen, IMRB and Egon Zehnder. During his career he has established and run two companies – Sri Lanka’s first market research company (LMRB) a part of the WPP Group and Egon Zehnder’s global knowledge centre in India (EZIRS). He has worked in five countries : UK, Saudi Arabia, UAE, Sri Lanka and India. Rajiv is also advising companies on marketing and brand strategy and positioning. He has an honours degree in Economics from the University of Mumbai and an MBA from IIM Ahmedabad. Sandeep has been part of the research consulting industry for over 26 years. Before taking up his role as the development insights lead at Karvy, he has been the Head of Research at BBC Media Action (India) Limited, Senior Vice President and the Head of TNS India Private Limited’s Political and Social Research, and has also held senior management positions in India and Nepal for The Nielsen Company. During his career he has serviced all major bilateral and multilateral donors and a large number of central and state government ministries in India. In addition, as Executive Director of Invest India Dataworks, he had worked extensively in the field of retail finance, pension reforms and financial inclusion. Sandeep has been an independent consultant to the Micro-enterprise Development Division of ILO, and an international faculty at The Springfield Centre for Business in Development. Sandeep has two post graduate degrees, one in Geography from JNU and one in Regional Planning from School of Planning and Architecture.